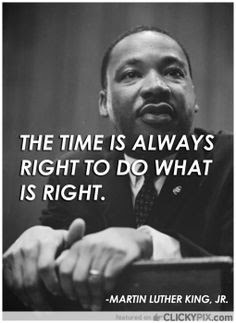 Today we observe Dr. Martin Luther King Jr. day and I am so grateful. After viewing the movie Selma last Sunday, I realized that we as a nation have come a long way but there is a long way to go. It was a wake up call to action. Sometimes we make excuses and put things on the back burner waiting for the right time. Well there really is no right time. I pray that our country and all races around the world learn to love each other for who we are. We are all human beings. We all need air to breathe, food to nourish our bodies and love. Thank you Dr. King for leading the way.